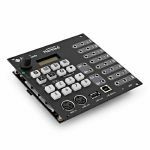 Hermod brings together a powerful step sequencer, a CV looper, a real-time effect processor, LFO generators and a complete bi-directional MIDI-USB-CV input/output interface. Record a performance at any time thanks to the CV inputs, the USB HOST, the USB DEVICE and the MIDI input. Create and edit your tracks with the STEP mode and its piano roll and automation view. Generate crazy patterns with the randomization tool. Hermod is polymetric, it means that each track can have a different length, from 1 step to 64 steps. Moreover, you can zoom in to increase the resolution of the step sequencer (up to 512 steps). Thanks to Hermod architecture, a track can be a simple mono CV/GATE voice, but can be easily configured as a polyphonic track (up to 8 voices), a CV/GATE + velocity + aftertouch track, a modulation + clock track... in order to perfectly fit your Eurorack system! The 8 tracks are grouped into one of Hermod's 8 sequences. Every sequence is totally independent and contains a new set of tracks to be played with, for a total of 64 tracks in a single project. 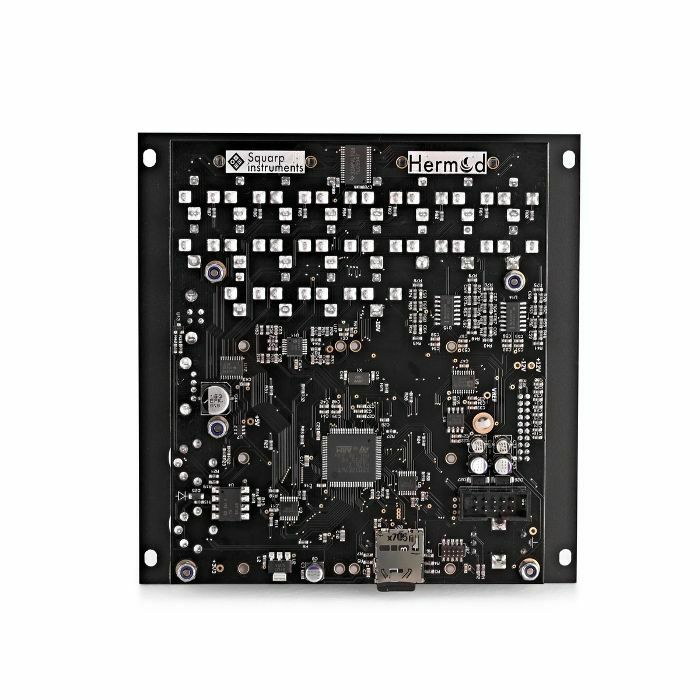 All the fun in Hermod resides in its effect system, allowing you to transform input signals, whether it's MIDI or CV. You can stack on each track up to 8 real-time effects: Quantize, Swing, Arpeggiator, Ratchet, Random, Euclid, Glide, Harmonizer, Delay, Chance, Scale, LFO... Experiment with the effects position and parameters to generate eccentric melodies! Full connectivity: control Hermod with plug-and-play midi USB devices, midi keyboards, computers or other Eurorack CV systems. 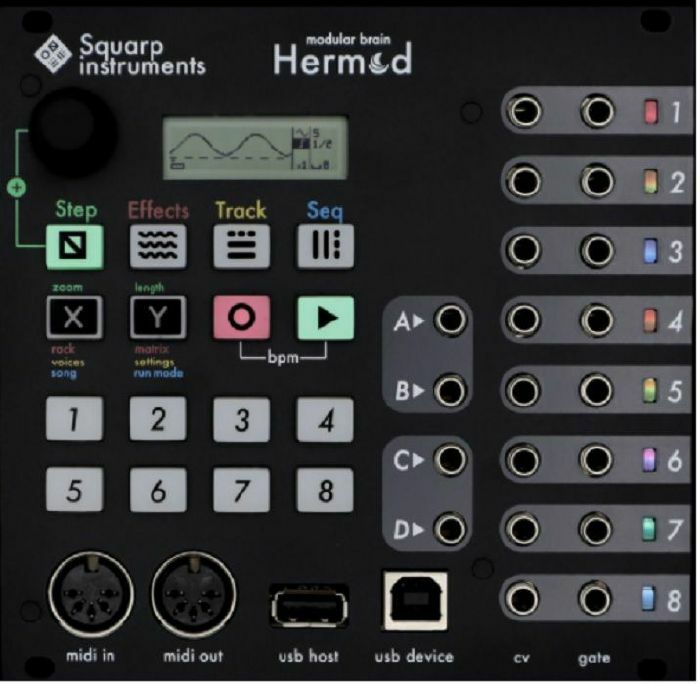 Hermod is also a great midi hub, allowing you to sequence midi synthesizers/drum machines and computer's virtual instruments. Of course, Hermod can be perfectly paired with Pyramid or other hardware and software sequencer, in order to benefit from its CV/GATE outputs.